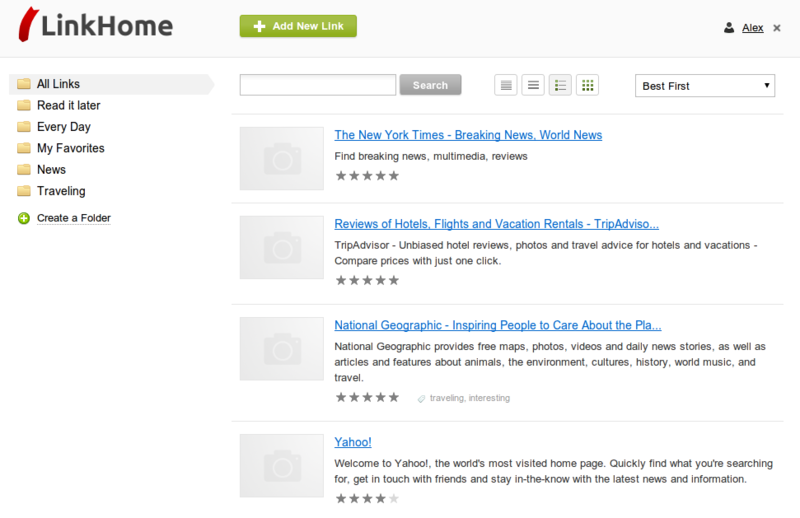 "LinkHome.me" — the easiest way to keep your links. Sometimes, while surfing the web, you find some interesting sites that you want to remember. The first thought is to use the browser's bookmarks. But after some time it becomes too messy. Lucky you, now you know about "LinkHome.me". With it you can keep your links, gently fold them, add your notes and rates. And, of course, you can access them from anywhere.